When Revlon's Just Bitten Kissable Balm Stains were released, I was so excited. I wanted to buy at least half of the collection. Ultimately, I only tried the colors Adore and Honey. I was tempted to buy Crush also, but some purple-plum toned lip colors don't suit me because they transform into a bright magenta on my lips, and bright magenta is just not my favored cup of tea. Adore looked like a sheer burnt red-orange-brown on me. Yuck! I had heard others describe Adore as a deep red. Well, where was the deep red? Honey looked like a bright silvery mid-tone pink. Yuck, again! This one had been described as a subtle pinky-mauve "MLBB" shade. Well, not on me! 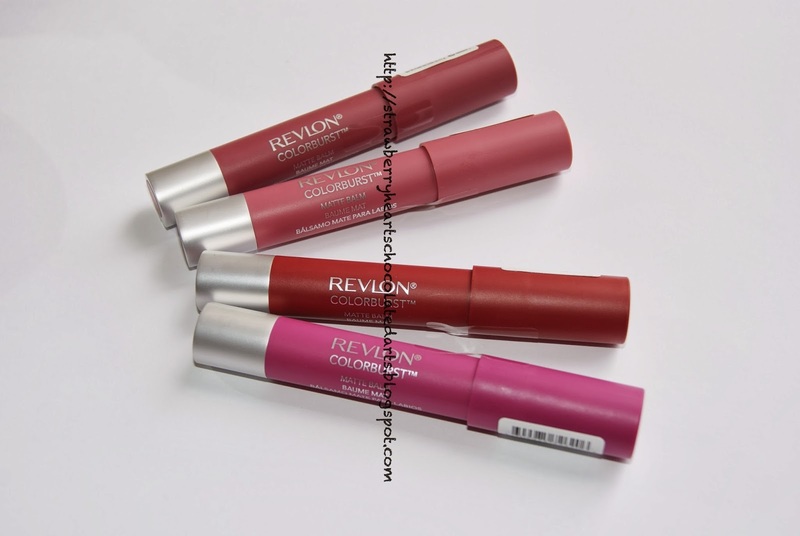 So, when I first heard about Revlon Colorburst Matte and Lacquer Balms, I once again joined everyone else in the "hyped-up" group. However, I grounded my expectations as I recalled my experience with the Just Bitten Kissable Balm Stains. I have not spotted these yet at Walgreens. ULTA just got these last week. 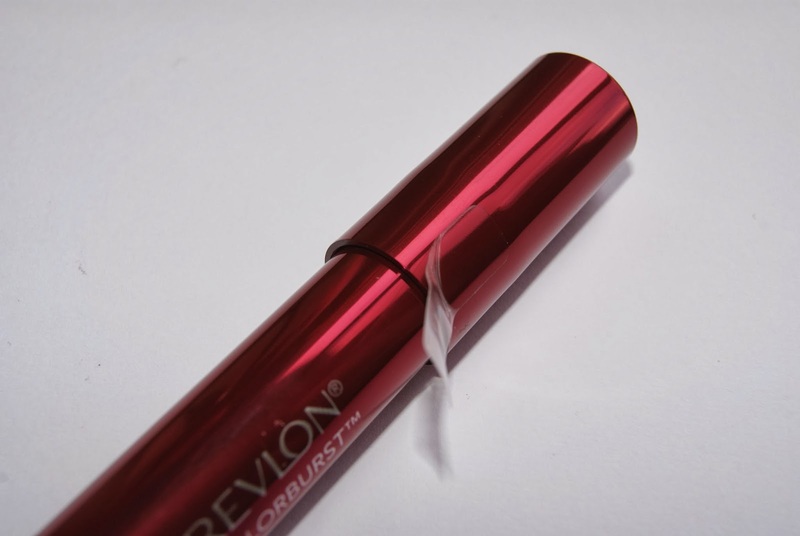 Protective Seal - Other beauty bloggers criticized this flimsy seal, but I like it. Firstly, it is not flimsy. You really have to make an effort to get it to come off. I still have the seal on mine even though I have opened and closed the lipstick several times. Secondly, I was able to see the color before purchasing the shades. 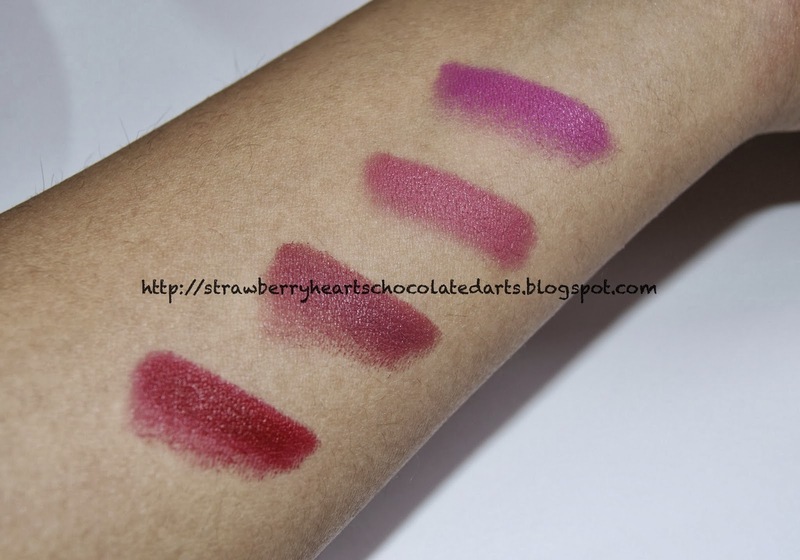 Of course I did not swatch the colors in the store, which is what some people might do with a shade like this. I suppose some may argue that even just opening to take a peek at the color is not okay because the product gets exposed to air, but then I would like to rebut by saying that drugstore brands should consider allowing stores to keep testers, rather than losing profits through customer returns. However, others might argue that the brands have enough of a margin that returns don't really put a dent in their profits, so whatever. Let's leave economics for another day. Elusive (1/5) - I decided to give one point solely because I like the packaging of the Matte balms. 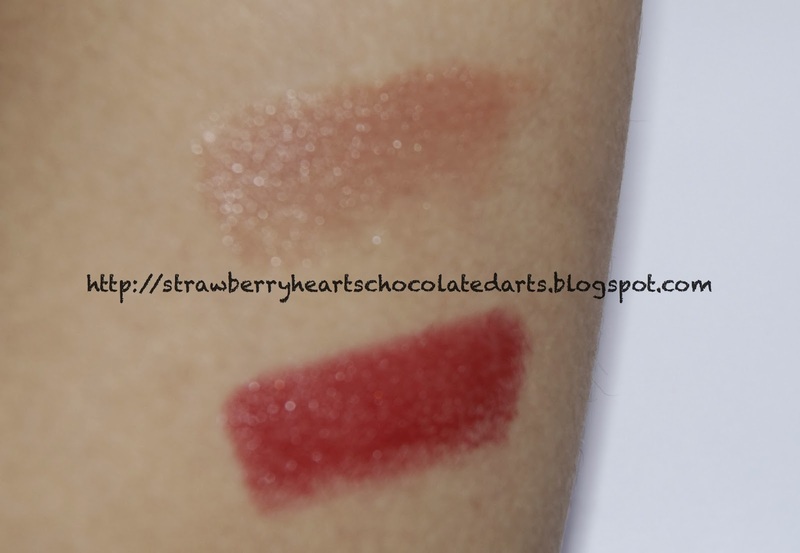 First, other beauty bloggers described Elusive as a MLBB shade. Goodness gracious, does this look like a MLBB shade on me? No! It looks like a horrid light medicinal pink. It looks "chalkier" in person than this picture captures it to be. The formula is a true matte, but on overdrive or shall I say over-dry. Showy (1/5) - 1 point given for packaging as with Elusive above. The color is the biggest issue here. Honestly, on my lips and due to the "chemistry" of the lip color and my lips, these shades (Elusive, Showy, Sultry) appear quite stark, bright, pastel-like, and/or neon-ish on me. I don't know why! Like I said, be prepared for this to dry out your lips, even if your lips are normal like mine. I don't have naturally dry lips. Sultry (1/5) - 1 point awarded for packaging as with Elusive and Showy above. Many beauty bloggers have described Sultry as a deep neutral mauve-pink. 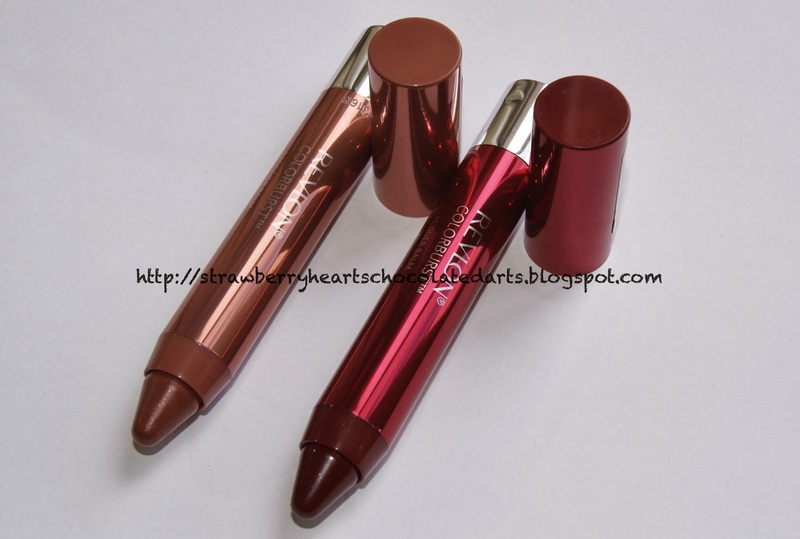 From the looks of the packaging color, I expected the shade to be a light reddish-brown berry shade. However, on me, as you can see in the picture below, this shade looks like a coral pink with golden sheen. Personally, I am not a fan of coral pink or coral rosy shades. 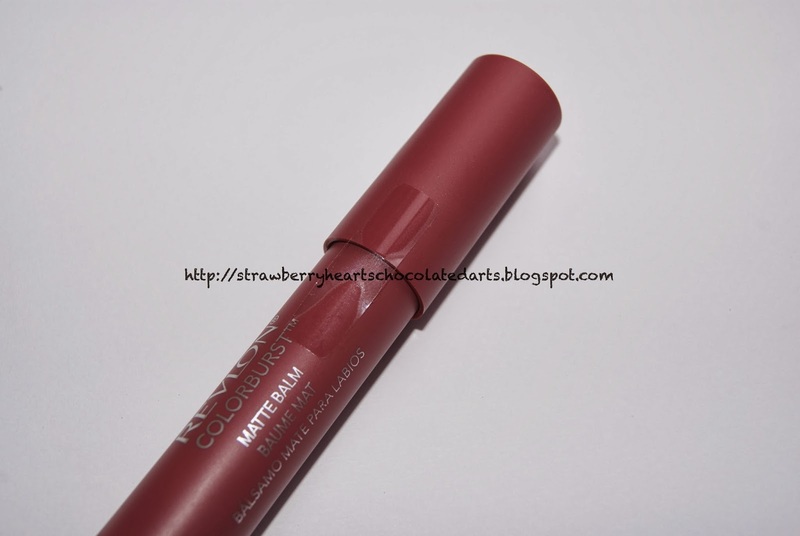 The formula of this shade is a true matte. Don't let the sheen fool you. As soon as I applied it, my lips transformed from appearing smooth and plump to dry and wrinkled. I had high expectation for this shade. I was definitely disappointed. Standout (5/5) - If you want to try these Matte balms, the one color you aught to try, is Standout. And for those who have a fascination with red lip colors, you need to buy this shade and add it to your collection. I really like this shade. Once again keep in mind that lip colors may appear drastically different on varying skin tone. For example, on many fair skinned beauty bloggers, Standout looks like a deep port-wine red shade. On the other hand, on me this shade looks like a bright red. In fact it is so bright on me that I might even like to describe it as the ideal, summer trend, "red-orange." Even though this is not a blue-toned red, it makes me teeth sparkle and look whiter than the natural teeth white. Standout is the perfect matte formula. It looks matte, but doesn't feel like a matte. This particular shade did not make my lips look dry, wrinkled, or chalky. You can observe a slight sheen in the picture below. The shade lacks the slip and "greasy" texture of a creme, but has the comfort of a creme, while the color stays put. I have worn this shade for hours! This lasted a lot longer than my usually three to fours hours of wear from most, if not all, of my lip products. I cannot say exactly how long, but perhaps five to seven hours. Yes, seriously, even if I ate a meal, this leave behind a full of apple red stained effect! 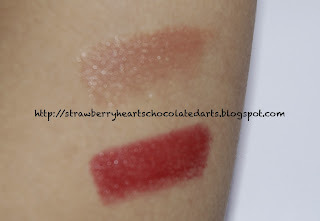 Lastly, Standout does not transfer easily, which is great because red can be such a messy color. Whenever my mom and dad come to visit me, I always cry a lot once it is time for them to leave. So, as my dad hugged me goodbye, told me to stay happy, and that I'm his Princess, I was concerned that my lipstick would stain his white dress shirt sleeve, but surprisingly it did not. Ingenue (1/5) - This shade is a joke. A waste of your $7 to $9. There is minuscule to no color pay off. The formula is nice, so Ingenue gets one point. However, I am being very generous because nice does not imply great or unique. Ingenue just provides a sheen on your lips, like a lip balm would, however, it does not provide the hydration akin to a traditionally superior balm. Don't except your chapped lips to be treated. If you are a clear lip gloss lover, this is not for you either, because it does not have the glossy impact of a gloss. It only provides a slight sheen and disappears very quickly, leaving behind a little shimmer on your lips. This might look nice on someone with a very fair skin tone and lightly pigmented lips, but even they may need to apply it several times to get even a subtle effect. Enticing (4/5) - This shade is the glossy, sheer, subdued version of Standout. However, I thought the two shades were distinct enough to keep both. 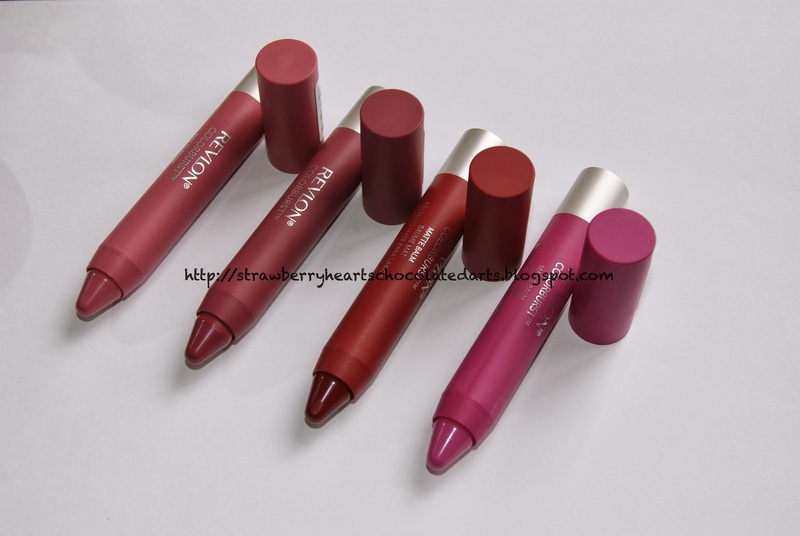 This shade is not as long lasting as Standout, but it stays in place until you eat food. I'm not too fond of the packaging for Ingenue and Enticing. It is festive and reminds me of Christmas ornaments, so I like it for now as we approach the Holidays, but otherwise it is looks cheap. 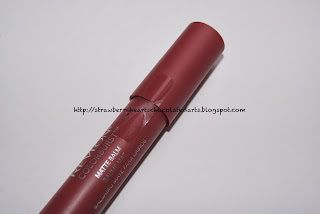 The matte packaging looks more clean and subtle, yet color-oriented, thus user-friendly. Wearing my favorite shade of the whole bunch - Standout! Basically, "Standout" is the only shade that stood out to me. I love it!!! It is my version of a matte Hollywood red. You look amazing in that pic Meesha! Just gorgeous! This was such a well-crafted, awesome review. Thanks for taking the time to go through all the colors. You saved me a lot of money and I appreciate it!